ASECA's Annual Dinner is held in February in conjunction with the PLI program "SEC Speaks." 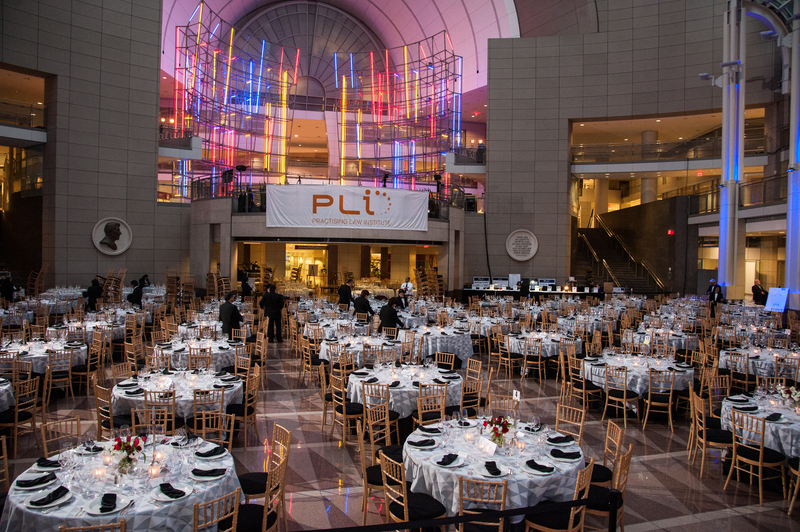 The Twenty-eighth Annual Dinner will be held on Friday, February 21, 2020, at the Ronald Reagan Building and International Trade Center in Washington, DC. Reception begins at 6:00 PM and Dinner at 7:00 PM. Q: What is the best way to travel to the Reagan Building? A: The Federal Triangle Metro Station (orange/blue lines) is located on-site, and is connected to the building by covered passageway. The Metro Center Metro Station (red line) is located just two blocks away. If planning to come by car, click here for directions. Q: Is on-site parking available? Q: What is appropriate attire? A: Business attire is appropriate. Q: Can I request a special meal? A: With advance notice to your waiter at the start of the meal, the Reagan Center will provide you with a vegetarian or Kosher option.